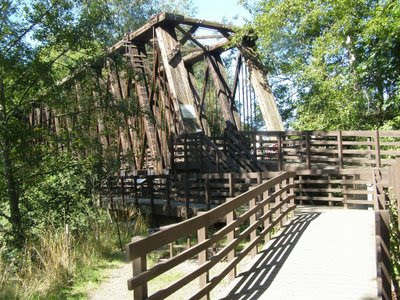 Old railroad bridges around Sequim, WA. Having a great time riding out toward Crescent Lake and possibly the Pacific. Then headed back to Bellingham later in the week via Victoria, BC and the Blackball Ferry from Port Angeles. Great sunny weather so far. Nice bicycling on these trails and roads.